A Family is the first school in which a child learns the fundamental values of life. The morals and values learned in the family guides us throughout life. They build our character and lay the foundation of our thinking. Here is the article, we’ll share useful bits of information from Family Day history to Family Day 2019 celebration, wishes, activities, eCards, and everything that you should know about this special day. As the name suggests, Family day is a special day reserved to give people time to spend with their families and loved ones. On this day, people are given a leisurely day off from their work and school so they could take a respite from their daily lives and spend quality time with the ones they care about. It is meant to be an opportunity to feel gratitude for the deep bonds and connections we share with our loved ones, and show them how much we love and care for them. Where is Family Day Celebrated? Family Day is celebrated in South Africa, in the American states of Arizona and Nevada, and in the Canadian provinces of Alberta, British Columbia, Ontario, Saskatchewan, and from this year in New Brunswick too. It is also celebrated in Uruguay, in Vietnam, in Vanuatu, in the Australian Capital Territory, and also in Thailand. Arizona and Nevada in the U.S. When is Family Day 2019 celebrated? In the Canadian provinces of Alberta, British Columbia, Ontario, Saskatchewan, and New Brunswick the third Monday in February is known as Family Day. Therefore, in Canada, Family Day 2019 will be celebrated on 18th February 2019 (Monday). In the American state of Nevada, Family Day is celebrated on the day after Thanksgiving Day. Thanksgiving day is the fourth Thursday in November, and The Family Day in Nevada is celebrated on Friday following the fourth Thursday in November. Therefore, in Nevada, Family Day 2019 will be celebrated on 29 November 2019 (Friday). American Family Day is a state holiday (public holiday) in the state of Arizona and is celebrated on the first Sunday in the month of August since 1978. Therefore, in Arizona, Family Day 2019 will be celebrated on 4 August 2019 (Sunday). In South Africa, Easter Monday has been renamed as family day since 1995. And it is celebrated on the same day as Easter Monday. Therefore, in South Africa, Family Day 2019 will be celebrated on 22 April 2019 (Monday). In Uruguay, the public holiday on 25th December is officially known as Día de la Familia, i.e., Family Day rather than Christmas to keep it a more secular event. Therefore, in Uruguay, Family Day 2019 will be celebrated on 25 December 2019 (Wednesday). Family Day in Vanuatu is celebrated on the day next to Christmas, which is traditionally known as Boxing Day. Schools and Offices are closed on that day so people could spend time with their loved ones. Therefore, in Vanuatu, Family Day 2019 will be celebrated on 26 December 2019 (Thursday). Since 2001, 28th June is established as Family Day in Vietnam. Different activities and events are organized throughout the country on this day, but it is not a public holiday there. 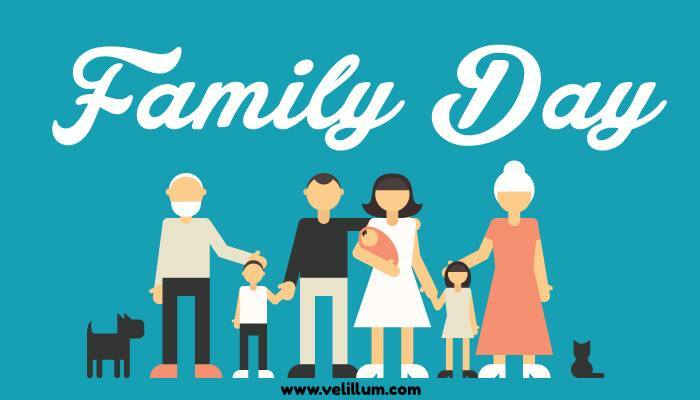 Therefore, in Vietnam, Family Day 2019 will be celebrated on 28 June 2019 (Friday). Between the years 2010 – 2017, Family Day was celebrated on the first Monday of the September/October school holidays in Australian Capital Territory. However, if it collides with ACT Labour Day (first Monday in October), in that case, the holiday is moved to the second Monday of the ACT school holidays. From 2018, Family and Community Day will no longer be a public holiday in the ACT. Replacing it, Reconciliation Day is celebrated on the first Monday on or after May 27th. Therefore, in Australian Capital Territory (ACT), Reconciliation Day / Family Day 2019 will be celebrated on 27 May 2019 (Monday). Family day is celebrated as the second day of Songkran in Thailand. Songkran, also known as Thai’s New Year is celebrated on 13th April every Year. Therefore, in Thailand, Family Day 2019 will be celebrated on 14 April 2019 (Sunday). Is Family Day a public holiday in Canada? Family Day is not a national statutory holiday in the whole country of Canada. It is only observed in the provinces of Alberta, British Columbia, Ontario, Saskatchewan, and New Brunswick where there is a public holiday on this day. Two other provinces have a special day off in February; In PEI, Islander day is celebrated on the 3rd Monday in February, and it is known as Louis Riel Day in Manitoba. Therefore, 18 February 2019 (Family Day) is a public holiday in Alberta (AB), British Columbia (BC), Ontario (ON), Saskatchewan (SK), New Brunswick (NB). Also, it’s a public holiday in PEI (Prince Edward Island) being Islander day for them, and in Manitoba as Louis Riel holiday. Please Note: As it is not a Federally established holiday, all the federal workers including post office employees and public servants do not have a day off on this day. So, it’s not a public holiday for federal workers. Family day is one of the best ways to remind us of the importance of having a family in our lives. This special event was created to give people the opportunity to spend time with their families, but it also provides a day off between New Year’s Day and Good Friday, which are approximately 3 months apart. As mentioned in the above paragraphs, not everyone gets a day off on this day, which makes it a debatable holiday in many provinces and there have been many revisions to this day in the past. It’s hard to figure out why can’t the whole country merely agree to 9-10 common holidays as it just shows how over-complicated our laws are. This day is really special for some as it helps them to strengthen ties with their loved ones, practice new beneficial behaviors and acknowledge the beauty of relationships. As all of us are experiencing increasingly hectic schedules, this day is meant to give us leisure time outside of our busy routines. To conclude the importance of Family Day, it helps us to be together, celebrate one another, and embrace the goodness in those who are close to us. It allows us to feel connected, and enjoy the positive vibes around. The wishes, feelings, joy, etc. you share with your family during this time is unforgettable and must be cherished by everyone, young or old. There are a lot of things you could do on this day, as the primary objective is just to spend time with family in a positive way. Some may choose to have a festive meal together, while some would prefer taking out their family on a picnic or to some religious event. Either way, this is one of the best ways to remind us of the importance of family in our lives. Some fun Family Day activities include skating, visiting art exhibitions, watching movies, playing board games, skiing/snowboarding and going to various winter festivals. Some people use this long weekend as an opportunity to take a short winter break and travel to their favorite destinations, or visit family members and friends. But the best thing about Family Day must be stuffing ourselves silly with heavenly food like pancakes with maple syrup. YUM! Happy Family Day Wishes: Messages, Quotes, Pictures, Greetings, eCards, etc. Having a strong and healthy relationship with your family members is quite essential. Sharing inspirational messages on Family Day in the form of wishes, SMS, quotes, pictures, greetings, etc. helps to boost the bond between the family. It doesn’t matter whom you want to send Family Day wishes to, could be your parents, siblings, aunt/uncle, or any other members, what matters is that they know you are and will be there for them no matter what ups and downs come in your’s or their life. So, we have collaborated some of the best Family Day Wishes Messages, which you could send to your loved ones on this Family Day 2019 and let them know how much you love them. I can’t imagine life without my family. All of you are everything for me. Love you so much! Where there is a happy family like ours, hardly there is need of friends. I really feel blessed and proud to be a part of yours. We are lucky for that we were meant to be a happy family forever. Wish you a Happy Family Day! I’m the richest one in this entire world because I have all of you as my family. Thank you for everything you’ve done for me. I love you, my dear and lovely family! I will never be able to describe in words what my family means to me. If anyone wants to know, they will have to go inside my heart to see. Wish you a very Happy Family Day! Family day is the most amazing day, but it still can be improved by expanding it to a Family year. Because one day is not enough to express all the love and dedication to our precious families. They deserve more. I want to start my day with wishes to my family – with you my life is full of colors and happiness. Thank you for everything and happy family day! I want to spend this day with my beloved family. You are my only goal of this life. I hope that this day will be unforgettable. When I think of any of my successes, I am thankful to God from whom all blessings flow, and to my family and friends who enrich my life. Wish you a Happy Family Day! A family is like a team. All its members have their own role. I hope that our team is the strongest team ever. My love for my family is warm, cute, caring and sweet – it is all that my heart needs to beat. I love my family most among other things. Family days are truly special, and they need to happen more often. I know that sometimes we get on each other’s nerves and have misunderstandings, but I believe that Family day spent together can fix it all. I don’t always agree with you. I don’t always be nice to you. I don’t always like you. I don’t always hug you. But I want you to remember… deep down in my heart I always love you, and forever will. Family is you, our kids and me. I want to hug you all and say – love you so much. Happy family day! I feel as a part of something very incredible for being in this family. I’m lucky enough for that I will love and be loved for the rest of my life. When it comes to overall health and well-being of a person, strong family bonds are equally important as good nutrition, exercise and proper rest. People who lack the important bond of human connection stand a higher risk of depression, addiction, and shorter life spans. No matter how many ups and downs you’re having in your life, your family is the one who will stand by you no matter what. Experts agree that family support is invaluable, even when one is not ready to seek help. And this day is precisely about showing the people that you’re there for them. Family day was first held in Alberta in 1990 and was proposed by province’s former premier, Don Getty after his son was arrested for drug dealing. 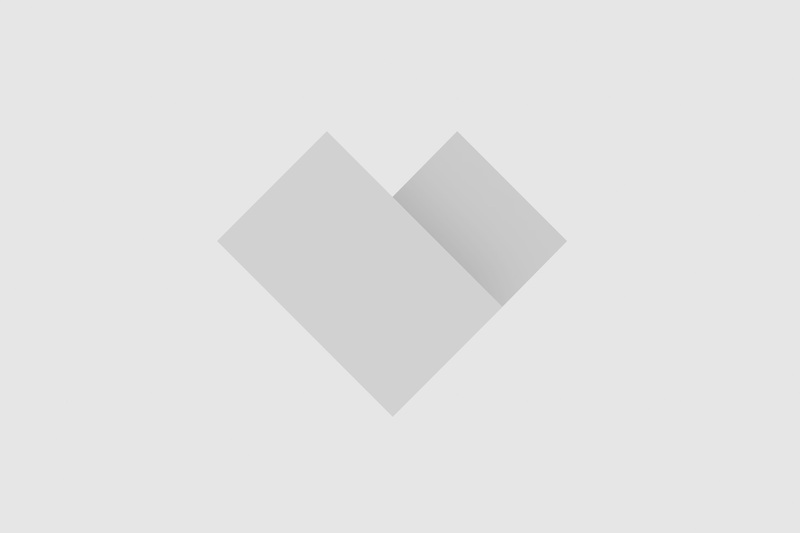 Though Getty denied any connection, yet it is believed that this incident motivated him to establish such occasion to counteract what he felt was erosion on family values in Canada society. It was then brought to Saskatchewan in 2007 and to Ontario in 2008. British Columbia observed their first Family Day holiday in 2013, and last year (in 2018) it was introduced to New Brunswick as well. 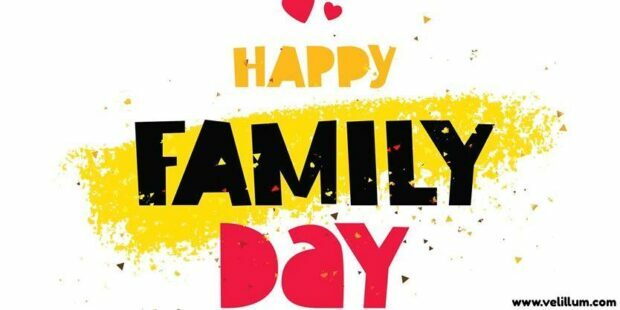 Wish you all a Happy Family Day 2019! Please, let us know in the comments section how you usually celebrate this day. That might help someone celebrate this day in the most amazing way. Cheers!